First – to be clear – I’m talking about the process of using a smartphone camera for photography – not the pics, pix, snaps, shots or whatever it is smartphone togs, shooters or iphoneograperhers call photographs captured with a mobile phone camera. Anyway, also for disclosure – yes, I am almost middle aged and I clearly don’t understand modern photography and will be left behind by the new wave of mobile phone photographers because I refuse to adapt. For the past few years now, Apple’s keynotes have highlighted how the iPhone has now become the world’s most popular camera. With today’s event, the company shifted the focus towards the fact that it’s the worlds most widely used video camera; and that’s exactly what the technology behind the iPhone 6 focuses on, as well. Let’s start off with the still photography. 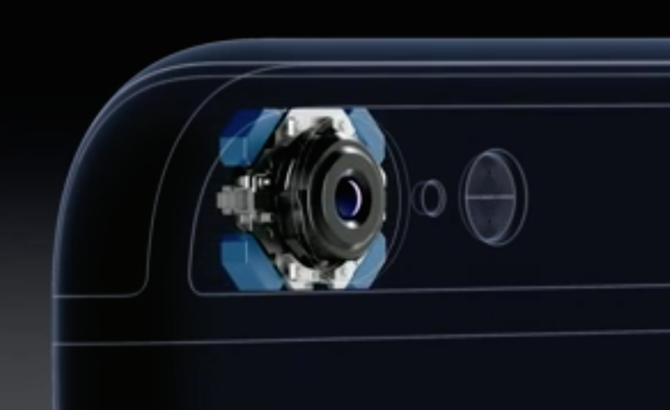 It shouldn’t be surprising that the new iPhone 6 still retains an 8 megapixel camera; the pixel size hasn’t gotten bigger than the iPhone 5S’s 1.5 microns, and the aperture remains the same at f/2.2. So what’s different? Typically, DSLR cameras aren’t really ever about fashion over form. Almost every high-end model out there comes in a bulky black, various buttons surrounding an LCD screen, and an interface that just assumes you know exactly what you’re doing. And then there’s the Pentax K-S1, a mid-range DSLR camera that’s set to come in colors as vibrant as the entirety of Guardians of the Galaxy. Yesterday, I posted an article about Instagram, and it talked about the new generation of photographers growing up today with smartphones. If it wasn’t for smartphones, many of those people probably wouldn’t have ever gotten into photography, and the minimal touch screen interfaces they’ve been accustomed to are all that they probably know when it comes to using a camera. For older generations, that’s the equivalent of using a disposable or a compact point-and-shoot. With Pentax’s new K-S1, Ricoh attempts to build a bridge that fills that learning gap and draws younger photographers closer to the DSLR world. The Cleverest DIYP iPhone Tripod* Ever! This tripod, designed by Benny Johansson, can be placed on top of bottles or stand for it self. Flexible enough to fit most of the common bottle tops and caps. the phone can be tilted 0-8 degrees on one side and 15 on the other. If you stop to think about it, that little eye on the world on the back of your smart phone is a technological wonder– particularly if you grew up in an era when leaving the house or office meant nobody could reach you until you surfaced somewhere with a land line. Even when compared to point-and-shoot digital cameras of just a few years ago, these cameras which are constantly with us keep advancing at an incredible rate, creating images often indistinguishable from those taken with our DSLRs. But it’s not perfect– and never can be–.since perfection means drastically different things to different people, Thanks to ambitious app creators, though, we can trick out our smart phone cameras with a seemingly endless supply of options. From filtering and sharing, to editing and correcting, if there’s something you want your smart phone camera to do, chances are there’s an app for that.